Indian stock market has corrected by more than 15% from highs of November 2010 and currently looking weak on charts. We expect another 5-7% correction in due course of time. Nifty can bottom out at 4950-5100 levels to see fresh buyings from FIIs and domestic institution funds. Most of the fund managers are waiting to deploy their funds at low levels. Due to recent market correction, many small and mid cap stocks are looking extremely cheap and offering great value for money. We firmly believe that time has come to start investing in such stocks keeping a long term view to maximize returns on your investment. Its tendency of retail investors to buy stocks when stock market rises and sell due to panic or worries when stock market falls. Smart investors do exactly opposite and make handsome money. Always remember, you need to keep your emotions out while investing in stocks. It gives us immense pleasure to introduce "Mahabachat March Offer" to maximize gains for our readers and subscribers. We provide authentic and unbiased research reports to our subsribers to make educated investment decisions in fundamentally strong small and mid cap companies. Investing in these companies can give exponential returns to the investors in a long run. Mahabachat March Offer gives an opportunity to save upto 37.5% on subscription charges. Each one in Saral Gyan team puts best of his/her efforts to provide profitable stocks recommendations backed by sound and unbiased research reports. Saral Gyan team mission is to ensure that your savings grow by investing in equities over a period of time, giving you fabulous returns on your investments. 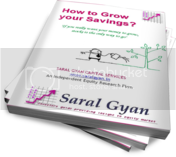 During this festive season, you can start investing in fundamentally strong small and mid cap companies by saving upto 37.5% on annual subscription services and also receive copy of eBook "How to Grow your Savings" worth Rs. 399, absolutely free! Mahabachat March Offer is available for next 11 days and closes on 31st March 2011. Get eBook "How to Grow your Savings?" worth Rs. 399, [$ 9.99] Absolutely Free! Note: eBook will be mailed to all paid subscribers on confirmation of their subscription to our services during Mahabachat March Offer. For First 50 Subscribers only! First 50 subscribers will receive three issues of "Hidden Gems" (Jan, Feb and Mar 2011) Absolutely Free! 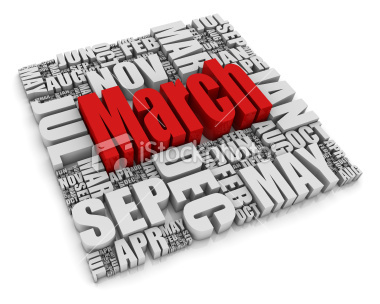 Subscription cycle under Mahabachat March offer will start from April 2011 to March 2012. Free subscribers & readers can subscribe to avail the best offer today! Click here to read more about Saral Gyan subscription services. To get the details of subscription charges and payment facilities, Click Here. In case of any queries, write to us at info@saralgyan.in, sales@saralgyan.in.